I hadn’t seen Christiaan since the 2010 eclipse, when a few of us got really, really lucky in Patagonia, Argentina. We had a tour that had chartered a flight to see the eclipse, since July is winter in the Southern Hemisphere, and it is almost always cloudy at 50 degrees south latitude. The flight was cancelled, ostensibly for “maintenance issues,” which none of us believed, and we thought we would never successfully see the eclipse from the ground. 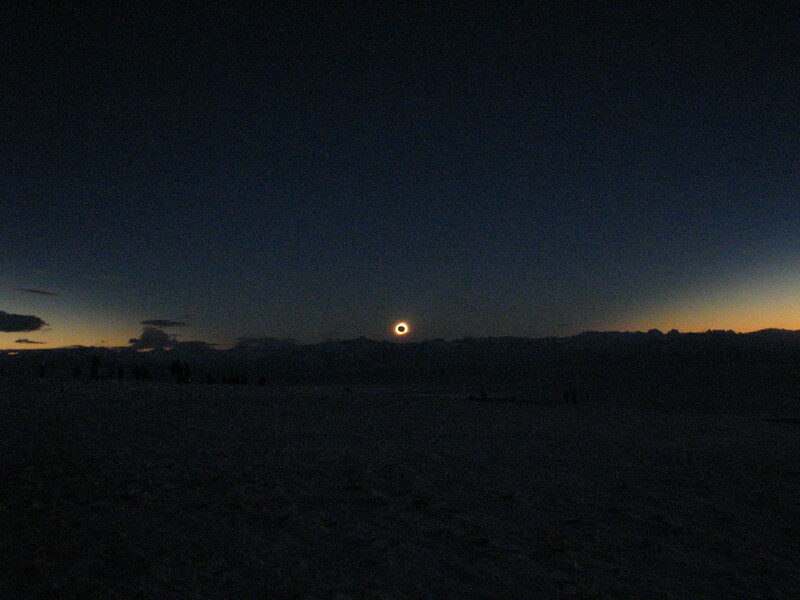 Instead, we saw the most spectacular total eclipse I have seen, and I’ve seen fifteen. Christiaan, along with some others on the trip, befriended me on Facebook. Like most of my Facebook friends, I didn’t expect to ever meet him, except that he does chase eclipses. He lives in Amsterdam, and while we were in Germany, before the 2015 eclipse flight, he happened to message me on Facebook, asking whether we were staying at the Sheraton by the Düsseldorf airport. I was, and he gave me his room number. Things are things, people are busy, and he was on the other of the two eclipse flights. I decided I really should call him after the eclipse, our last night there. I’m not the greatest people person, but I called, and we talked for a while. It wasn’t clear to me whether he wanted to continue the conversation. In the US, I have long been known when people didn’t want to talk to me. In Europe, the culture is different. In any case, I ended the conversation, since his eclipse group was having dinner together, and my wife and I planned to take the train into Düsseldorf and eat at a restaurant we liked when we had arrived ten days earlier. Later, we decided instead to eat at the airport, a short walk, where we knew a good restaurant. Mostly by chance, I thought since we would go by the bar in the hotel, on the spur of the moment gave Christiaan a call, asking him if he had a chance to stop by and say hi. I wasn’t sure it was the right thing to do, but it seemed like a good opportunity to at least try. The worst that could happen was we wouldn’t meet. Ten minutes after we arrived, I saw a tall young man and a young woman appear, guessing correctly, as it turned out it might be Christiaan and his girlfriend. We had a delightful visit, despite being from different parts of the world, different cultures, and different generations. We are fellow eclipse chasers. It would have been easy not to have gone to the effort to call, but I’m glad I did. I may or may not see Christiaan on another eclipse trip; it is highly unlikely I will see him in Europe again. But I saw him. That mattered. 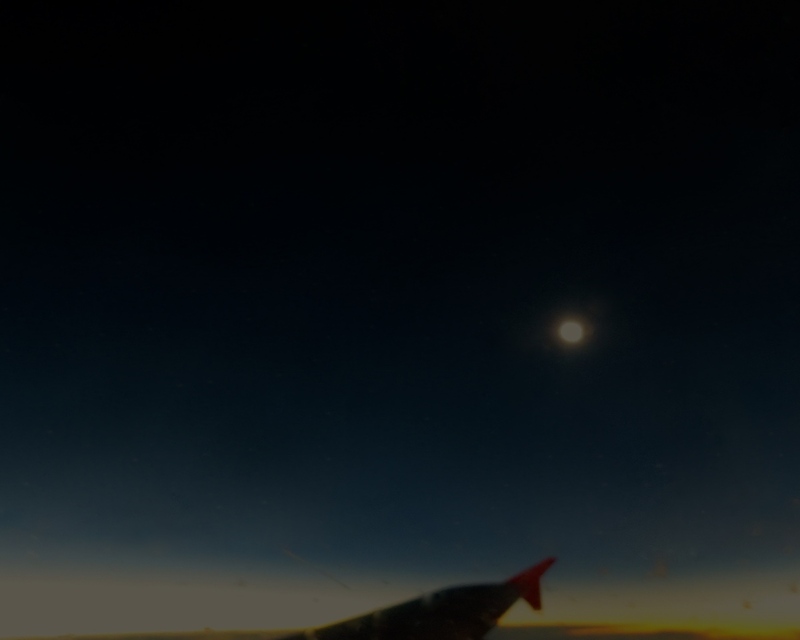 TOTAL SOLAR ECLIPSE, 20 MARCH 2015, OVER THE NORTH ATLANTIC. SAROS 120. Quite by accident, later that evening, after dinner, I decided to go and use the free wifi the hotel had only in the lobby. I had posted something on Facebook in German, only to discover a grammar mistake. I decided I would take the post down altogether. I should do that more on Facebook. While at the computer, I heard a conversation about two people, one of whom I know. His first name is uncommon; I don’t often refer to people by their full names in this blog, so I will call him Stanley. The man talking was an editor of an astronomy magazine, with whom I have been on at least two eclipse trips and may see in Indonesia for the 2016 eclipse. He said that Stanley, now in a wheelchair, could be photoshopped into a group picture the other eclipse flight had taken. Stanley is not a close friend but a man whom I greatly respect. He lives in Tucson and has chased eclipses at least ten years before I started in 1991. In 1984, he spoke at the Tucson Amateur Astronomy Association (TAAA) about the 99+% annular eclipse on the East Coast. He said it had really been worth seeing. I hadn’t. He talked about the earlier Java total eclipse, then showed a map of total eclipses that would take place between then and 2002. “That’s my vacation schedule,” he said, and everybody laughed. He wasn’t kidding. Stanley went to eclipses to possibly miss them, standing near the predicted edge to see if he saw it or didn’t. That is a scientist. I want to see every second of totality. In 1987, I was with him at Tucson Mall, when the TAAA had a booth during a fair. He showed a video of the annular eclipse in China, back when travel to China or videos were both uncommon. He once climbed one of the Aleutians in pouring rain to try to see totality. He failed but was philosophical about it. Stanley is quiet. For years, I went to a Christmas party given by a fellow amateur who is the opposite. As I did less astronomical observation, I knew fewer and fewer people. Stanley always came, and I knew I could talk to him about eclipses as common ground. He had been to St. Helena twice, a remote island group well off southern Africa. I once asked him how many eclipse trips he had been on. He told me 38, and that was a while back. Stanley never bragged. The last time I saw him, he was 79 and looked great. I don’t know why he is in a wheelchair. Had I been a different person, I might have walked over and asked the editor about Stanley. It didn’t seem appropriate. Stanley might not have known me well; I am not a fixture in the eclipse community. he is. The individual hosting the Christmas parties once told me, that my eclipse chasing wasn’t “real astronomy.” I didn’t argue, for he was one with whom one just never argued. I think looking up at the night sky is astronomy, and seeing the Sun disappear in daylight qualifies as well. I’ve published three articles about how astronomy has affected my life, one in Astronomy; two were in Sky and Telescope. Perhaps I’m not a real astronomer. But I’ve traveled all over the world chasing the Moon’s shadow. Stanley is one of my heroes, a good man. I’m sorry he is in a wheelchair and hope that in his early 80s now, it is temporary. The odds don’t favor that. Nevertheless, he saw the 2015 eclipse. I hoped he loved it. I hope others got to hear some of his wisdom that he imparted to me. I’m a better person for knowing him. I’m glad that night I went to the hotel lobby twice. This entry was posted on March 22, 2015 at 17:42 and is filed under Uncategorized. You can follow any responses to this entry through the RSS 2.0 feed. You can leave a response, or trackback from your own site.